In a trade necessarily flexible and prompted always more by the innovative and steady growth, the complete reliability and the high quality of products are the real industrial purposes. 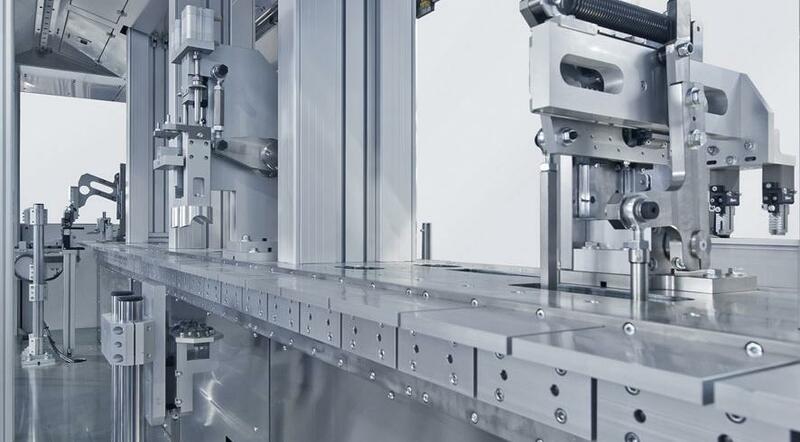 To deal with this Sinteco, thanks to over 30 years of experience and to advanced systems of modular design, is able to conceive extremely flexible automation and process solutions, combining advanced technology and quality. Everything is studied and realized in order to reset every lack risk. Sinteco doesn’t realise only a line, but candidates itself as customer’s partner especially in the after sales phase with an excellent 24-hours service. Nowadays and especially in the future the product’s life cycle turns out to be short. So the customer needs to invest in lines always more flexible and re-convertible in extremely short times. 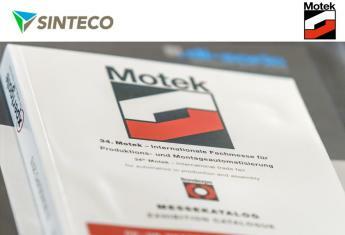 Therefore Sinteco’s proposal focuses necessarily on the modularity adaptable to every process type. The multiplicity of fields in which Sinteco operates, permits to borrow solutions and experiences, that significantly simplify the whole line’s realisation process and optimise the investments. The extreme flexibility, due to different ranges where the company operates for over 30 years, has permitted to Sinteco to consolidate experiences and knowledge that have become its own characteristic features. The multidisciplinary trade to which Sinteco turns, imposes steady research in always more performing innovative systems and solutions, searching the maximum balance between quality and simplicity of use and cheapness of the substantially customized lines. One of the last Sinteco’s realisations is an example; substantially a line composed of many levels able to assembly, calibrate and test a particular sensor of pressure and temperature, in digital and analogic versions for the automotive field. What has been studied, designed and realised is substantially grounded on a concept of totally modular robotic cells subdued by a traditional conveyor with pallet recirculation. The whole heart and complexity are the ad hoc designed air-conditioned rooms, that do the tests in controlled atmosphere and temperature; provided of anti-condensation, the range of temperature in which they can work goes from 2°C to 65°C and manageable pressures from 1bar to 17bar; with wide possibility of regulation of operation intervals. The supervision system, entirely designed by Sinteco’s team, guarantees the complete integration of the line realised with control systems and business management. Even in this case Sinteco’s personnel capacity to fully handle the most complex assembly and control technologies permits to realise particularly innovative and competitive solutions. 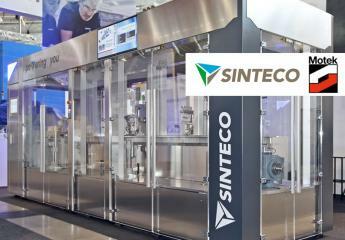 Another significant example of Sinteco line is the one realised for the automatic assembly and test of medical bags from infusion. The line is essentially composed by an indexing chassis with brushless motor and two indexing tables endowed with electronic cams. The line is managed by state-of-the-art PLC and SCADA, with extremely advanced auto-diagnosis and process control systems. 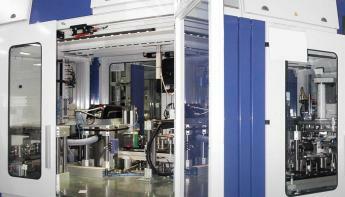 Developed on a 500m2 surface for the use in clean room, the line assemblies and tests, with a cycle time of 1 sec/pcs, 10 different types of bags with paltry setups times and especially that don’t foresee any mechanical adjustment. The guaranteed O.E.E. is 95%. One of the line peculiarities is to use particular optical sensors for the dimensional variabilities’ identification of handled bags and consequently to set automatically the whole line for a “on the fly” model change. Very briefly, Sinteco aims with its lines for the complete satisfaction of the customer, certain that it supplies the best quality.